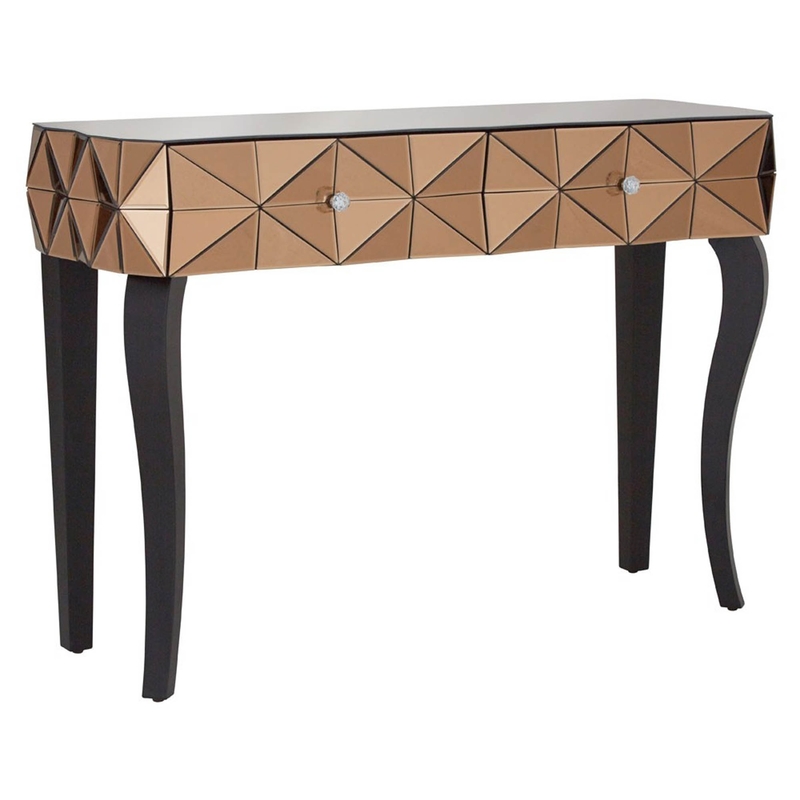 This striking console table has a smoked copper finish, its warm tones complement its gorgeous wooden legs which offer for a great counterpoint to the cabinet angular features. Enhancing the bedsides practicalness and luxuriousness, each drawer features a cut glass handle. Made from only the highest quality of materials, this console table will be e a great addition to any home.